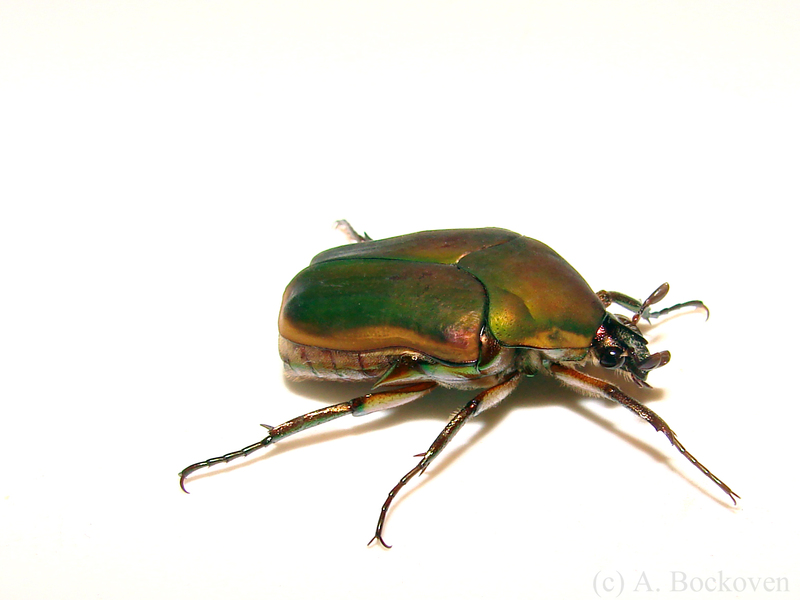 A green june beetle (Scarabaeidae: Cotinis). Here’s a beetle that my dog, a budding canine entomologist, chased down and caught for me on our walk the other day. These big, metallic green beetles are one of the more striking insects we see in the area. This fellow was out a bit late in the year, so it was fun to see one. 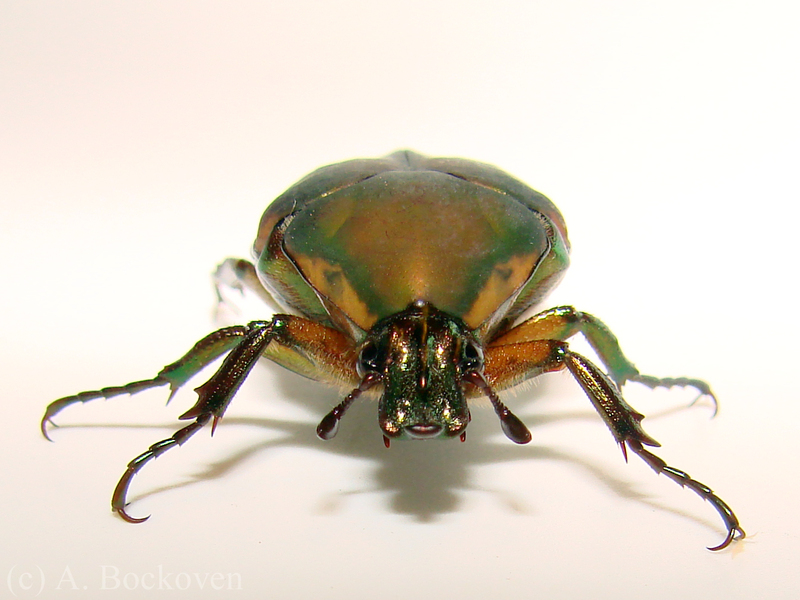 Much like the brown june beetles (or “junebugs”) that mob my porch in the summer, adult green june beetles are attracted to lights. 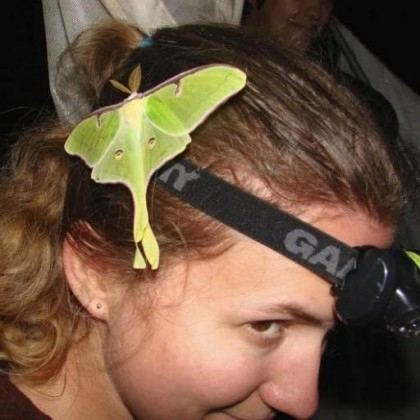 The adults feed on fruit and sometimes flowers (they are a significant vineyard pest), while the grubs shelter in the soil during the day and emerge at night to feed on vegetation and roots (they can be a minor lawn pest). Apparently these grubs have the unique habit of crawling on their backs, using short stiff hairs rather than their legs, which is a cool fact I did not know. 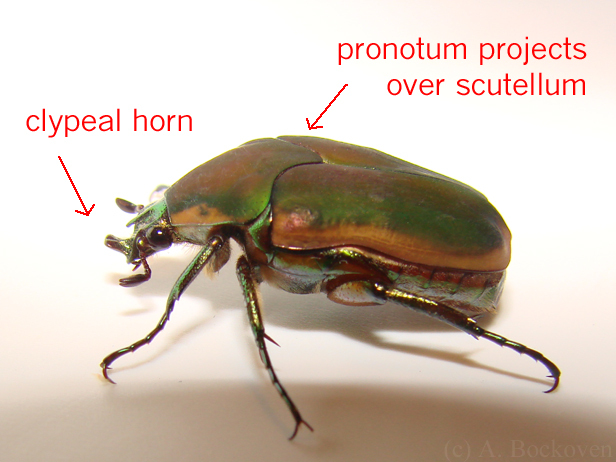 Two characters of note for this genus are the horn-like projection of the mouthparts and the way in which the pronotum (first plate of the back) extends to a point, covering the scutellum. As a side note, it is extremely difficult to capture metallic and iridescent coloration on camera (I lack the appropriate combination of equipment, patience, and skill). Ted MacRae of Beetles in the Bush has some good comments on the subject, and just generally takes gorgeous tiger beetle photos. 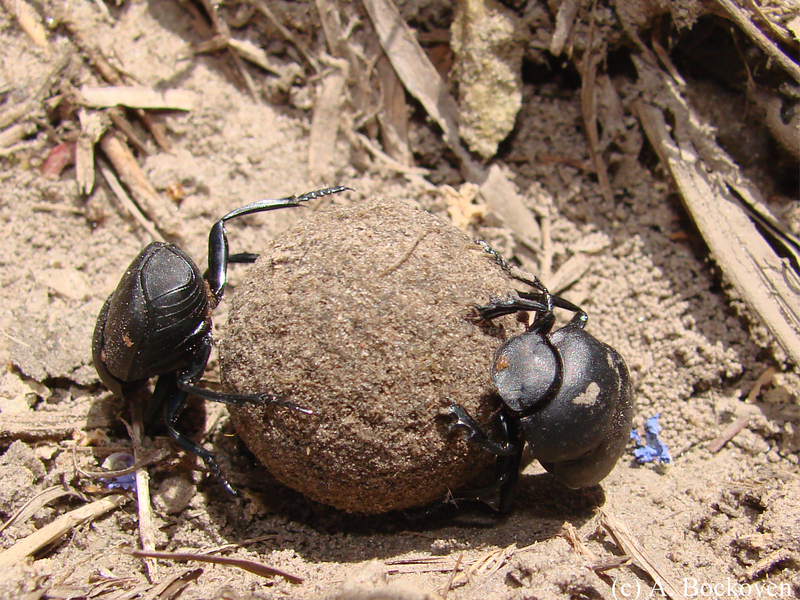 Dung beetles rolling a dung ball (Canthon sp., Welder Wildlife Refuge, Texas). I ran into a number of these interesting beetles flitting among the flowers and going about their business at Welder Wildlife Refuge. I have also encountered their relatives taking care of the dog poop at the local park. Though a bit stinky from their work, these beetles provide a valuable service to the ecosystem, cleaning up the dung dropped by large mammals. Many dung beetles build nest directly under the dung pad, grabbing pieces and burrowing down beneath to feed in shelter. 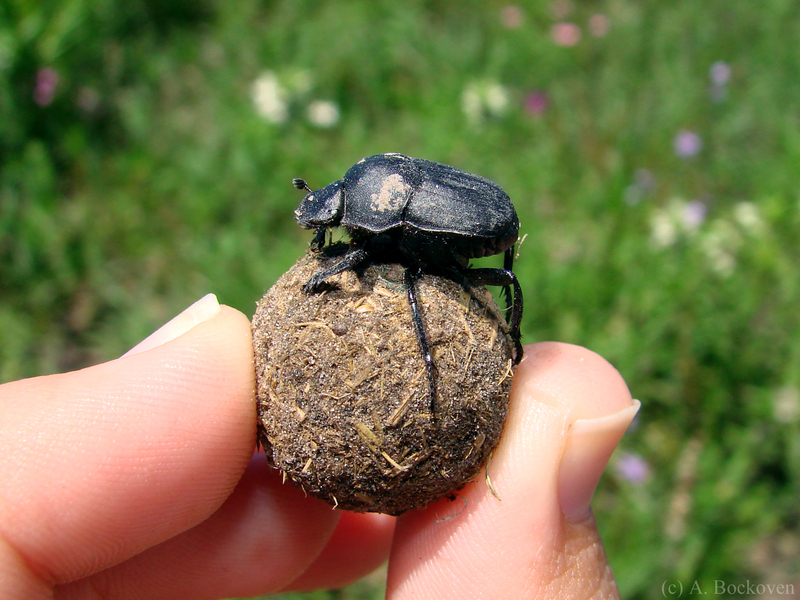 Species like the beetles above (also called ‘tumblebugs’) secure this precious resource from competition by building a large dung ball and rolling it off to a safe burrow elsewhere. The dung provides food for the adults and the young, which grow up safely ensconced in the burrow, feeding on the hard work of their parents. A dung beetle with its dung ball (Canthon sp., Welder Wildlife Refuge, Texas). My favorite bit of dung beetle lore is the Australian Dung Beetle project. When cattle were introduced to Australia they had a problem. The native dung beetles, adapted to marsupials and the like, wouldn’t eat the cow patties. Cow poop was piling up in the fields, and flies and worms were piling up in the cow poop. There are more than 30 million cattle in Australia, producing more than 10 million cow pats an hour. It was a serious, stinky problem. Luckily, entomologist Dr. George Bornemissza, came up with a solution, and organized the import and introduction of more than 20 species of foreign dung beetles to handle the clean up. 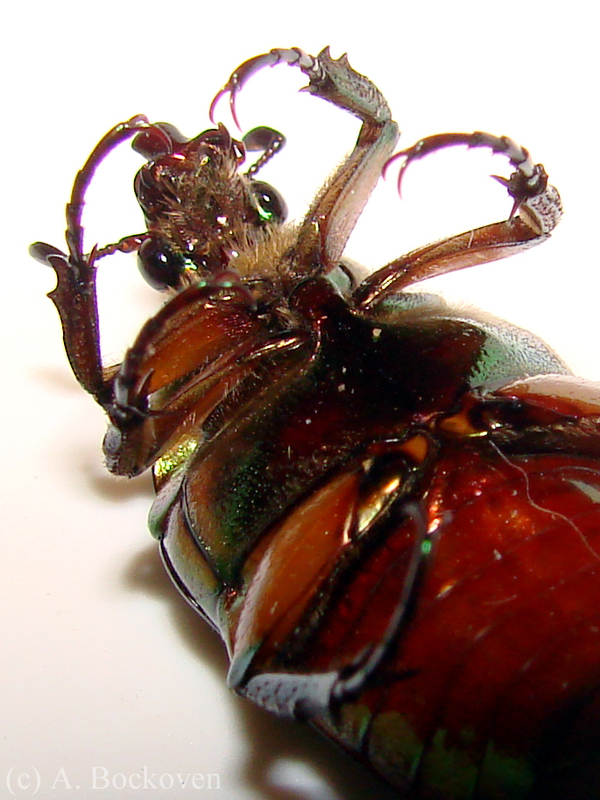 As another example, we have the species below, the brown dung beetle or gazelle scarab, a native of Africa and Asia. 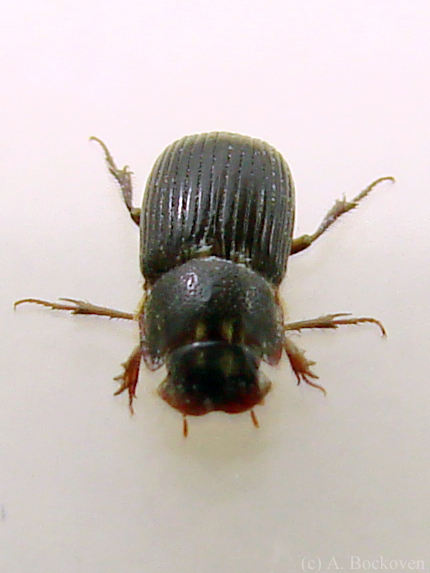 This beetle was introduced to the south eastern United States in the 1970s by the USDA to suppress harmful dung-breeding flies such as horn flies. 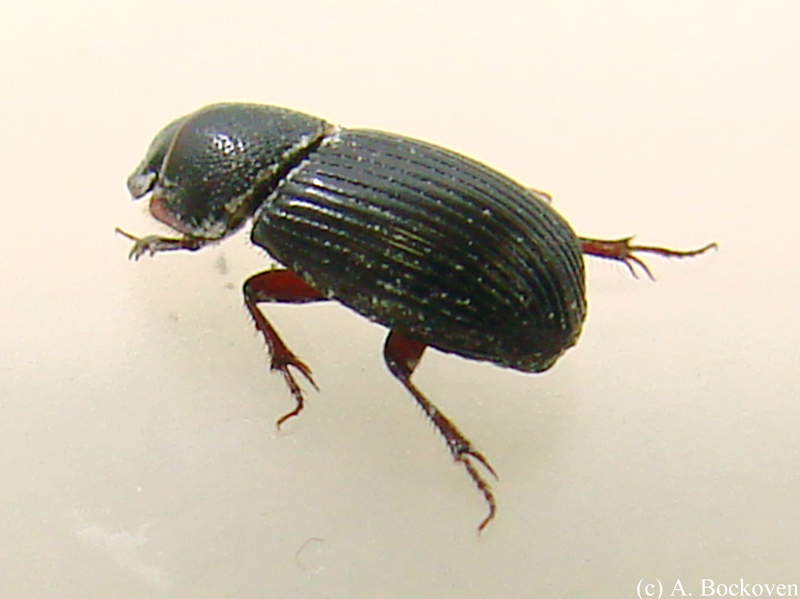 Dung beetles belong to the the beetle family Scarabaeidae, the scarab beetles. 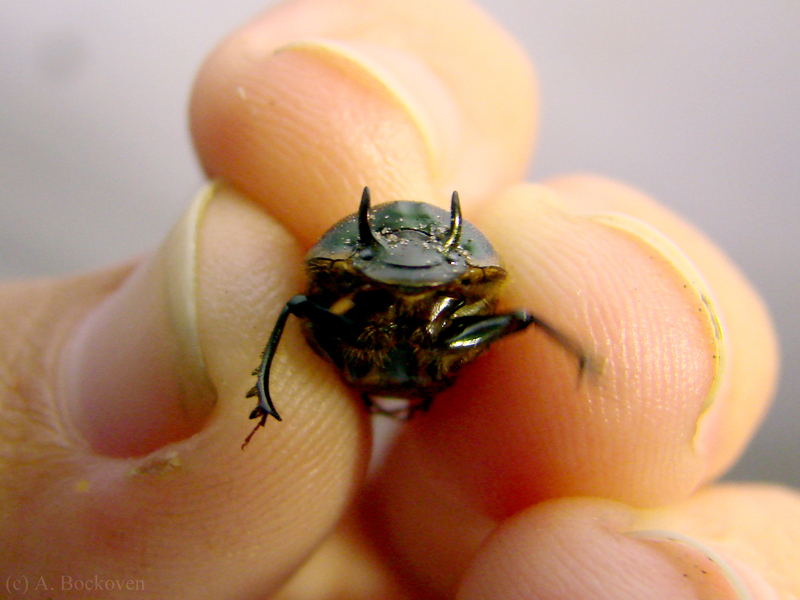 Lamellate antennae (branched somewhat like antlers as seen above) are diagnostic of the scarab beetles, and shovel like faces and strong burrowing forelegs help to distinguish them as dung beetles. A male brown dung beetle (distinguishable by the horns), or gazelle scarab, common at lights in Texas (Onthophagus gazella). 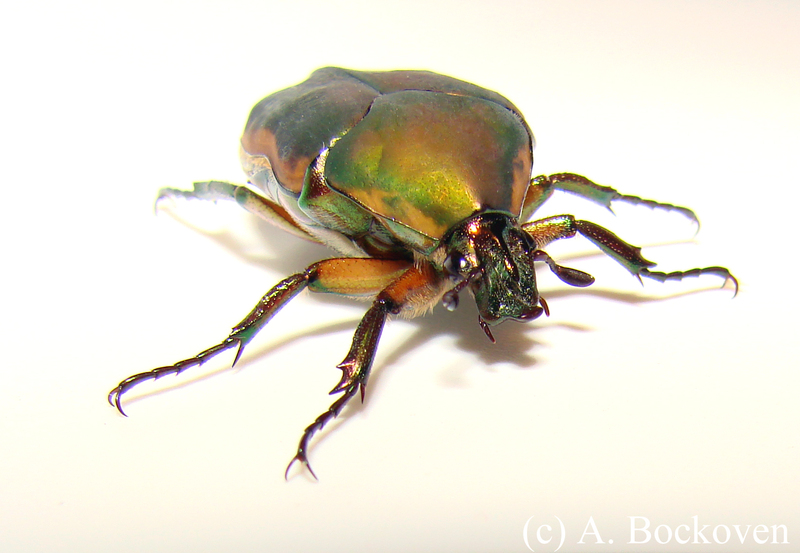 *Edit: Thanks to Paul Lenhart for beetle IDs and additional information about the gazelle scarabs! 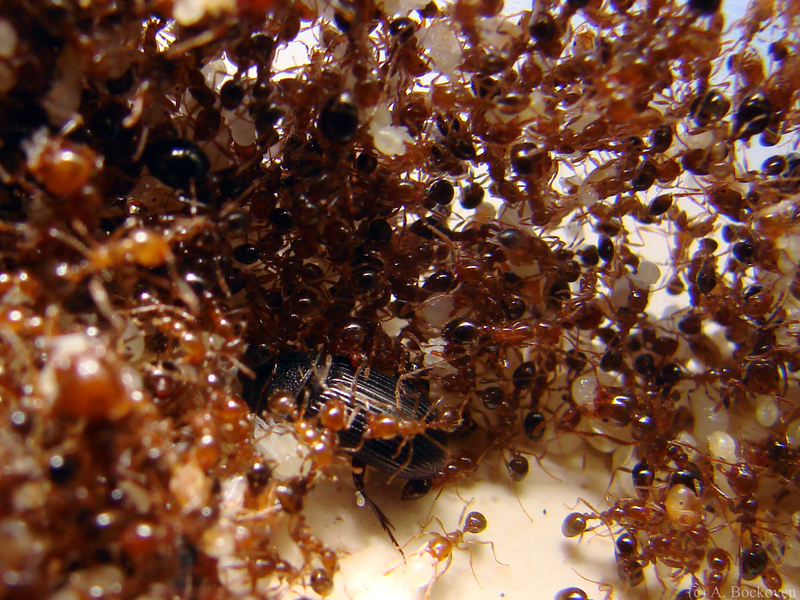 A fire ant symbiote, Martineziana dutertrei, with host species. Here’s another cohabitant I frequently turn up in fire ant nests. These tiny black beetles belong to one of the largest and most diverse beetle families, Scarabaeidae, the scarab beetles. 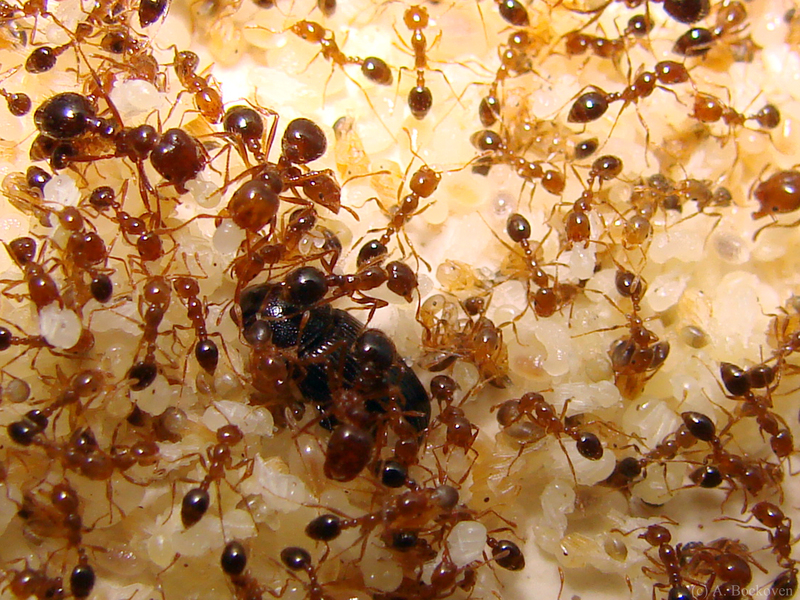 They fool their ant hosts by coating themselves in chemicals that cause them to smell and taste like ants. When I went to research more information on these interesting little beetles I could find very few scientific studies addressing them. These beetles, Martineziana dutertrei, seem to function primarily as parasites of the ant colonies that host them, stealing prey and other nutrients, and even eating ant larvae. An ectosymbiotic scarab beetle with a member of its fire ant host species. 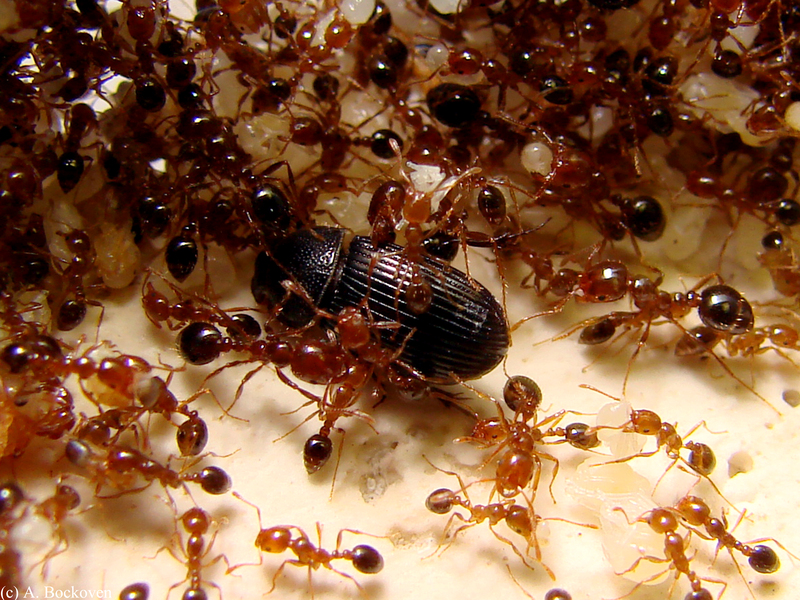 Martineziana dutertrei was apparently introduced to the United States at some point during the introduction of its host species, either the red imported fire ant, Solenopsis invicta, or the black imported fire ant, Solenopsis richteri. 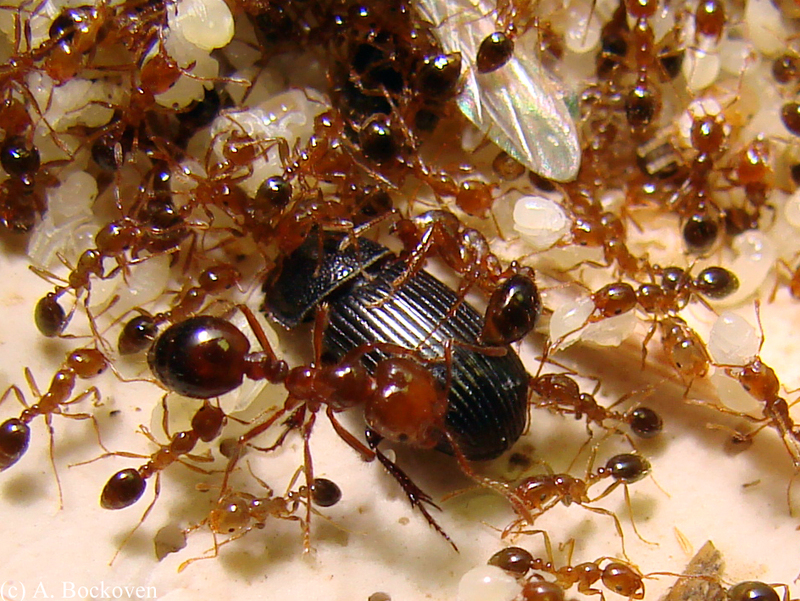 This beetle species are now also found in the nests of a native relative of the infamous imported fire ants, the tropical fire ant Solenopsis geminata, where the beetles have evidently somewhat displaced their own native relative. 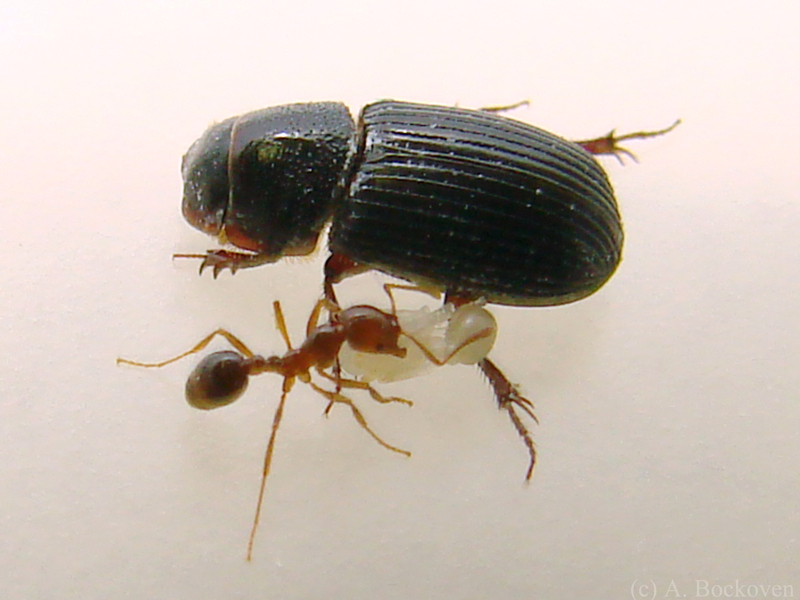 A myrmecophilous scarab beetle with its fire ant host species. A myrmecophilous scarab beetle in fire ant brood pile.